We, the undersigned, hereby call for the immediate re-instatement of Mr Ian Nunney as Wellingborough Royal British Legion Chairman and Poppy Appeal Organiser for Wellingborough, also the re-instatement of Ms Mavis Thomas as Branch Secretary. 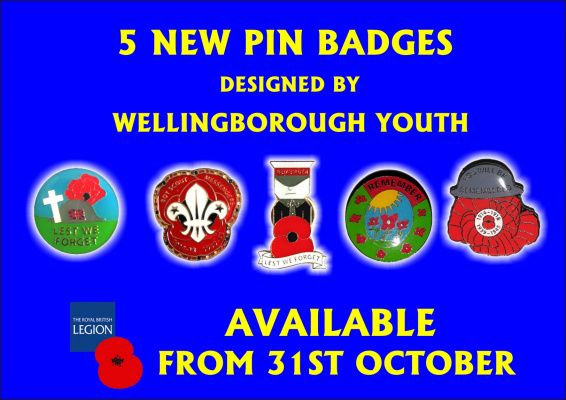 We also for the call for the immediate sales of the five pin badges in aid of the Poppy Appeal, designed by the children of Wellingborough, regardless of any copyright infringement. Mr Nunney and Ms Thomas were forced to resign their positions on Friday October 13th 2017 by a Northamptonshire County representative over the selling of children’s pin badge designs, who then requested the badges be destroyed, took the keys to a very small shop from Mr Nunney and removed Branch funds /monies. The pin badge winners received their badges and certificates from the Lord Lieutenant of Northampton last month, expecting them to go on sell in November. Her Majesty Queen Elizabeth also received a set of these pin badges. Mr Nunney and Ms Thomas have spent numerous hours raising money and organising events and felt so proud of all the winners and in fact all those that entered the event. The Branch paid for them to be made out of money raised during the year and all monies raised through donations to the pins were to be paid into the Poppy Fund. We now have a unhappy community and 5 very upset children. People need to realise that without the encouragement of young people there will be no Legion of tomorrow - today's youth are tomorrow's Legion!